Interstellar Space also a Frothing Primordial Soup! Researchers from the University of Texas and the Astrophysics Institute of Canarias have announced a discovery of yet more evidence that life may be a common, natural result of cosmic processes. 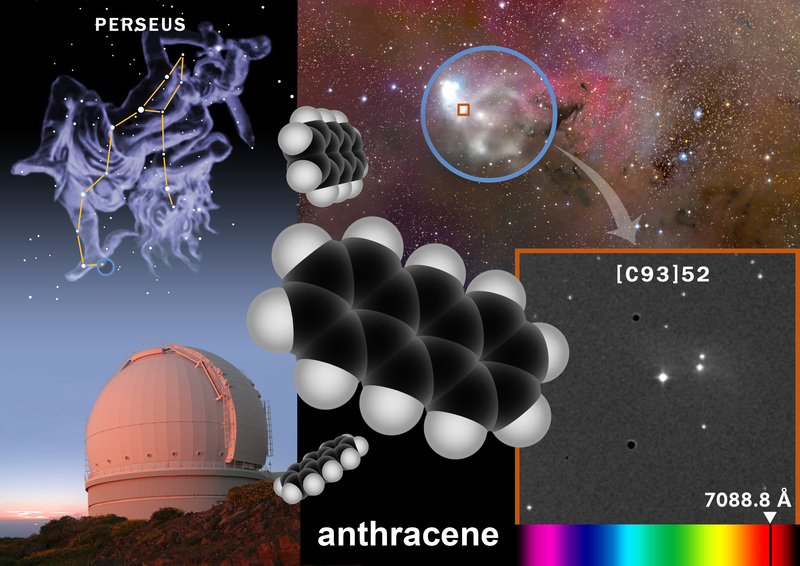 The highly complex organic molecule anthracene has been detected in an interstellar cloud of molecular gas 700 light-years away toward the constellation Perseus. Anthracene, which is a prebiotic chemical, is found in its oxidized form in aloe and possesses anti-inflammatory properties. Perhaps more importantly, in the presence of starlight, water, and ammonia, anthracene can form amino acids and other compounds that act as the building blocks of life. In all, good news for the astrobiologically-inclined.